This fall is your last chance to experience the Ghost House, as a brand new Haunted Mansion will replace the current haunted house ride for the 2018 season. The new Haunted Mansion will be the first two-floor spooky house to ever reside at Adventureland, and it will feature floor-less gondola-style cars that allow for indoor and outdoor haunts. Manufactured in Italy, the Haunted Mansion features state of the art animatronics and special effects lighting and sound, perfect for thrills and chills for the young and the young at heart. The new Haunted Mansion is scheduled to open spring of 2018. If frights are not your cup of tea, Adventureland’s unique line up of thrill rides may be just the ticket for you. The Turbulence roller coaster joined the Adventureland family in the spring of 2015, replacing the iconic Hurricane coaster. Turbulence is a custom-made spinning coaster that was designed and manufactured by Mack Rides, a family owned and operated German company that has been a leader in amusement ride engineering and design for over 225 years. The cars on this green and yellow coaster spin freely as they race around the track, giving riders 360 degrees of thrills and a unique experience every time they ride. Another popular thrill ride is the Music Express, located just across the midway from Turbulence. This classic ride quickly builds momentum to take riders up and down inclines as they travel around, all while rocking out to the latest top charting hits. A trip to Adventureland isn’t complete without a ride on the Wave Swing. Located at the north-western edge of the park, the Wave Swing elicits smiles from not only those enjoying the ride, but also from all the travelers who drive pass this ride on route 110. Fly high over Adventureland as the Wave Swing lifts you up and tilts and twirls you around! There’s more than just rides at Adventureland. The 15-acre amusement park features a state of the art indoor arcade and restaurant, snack stands, gift shops and more. Their impressive roster of midway games includes fan favorites like Long Shot Basketball and Rope Climb, new games like Topspin, and classic fun like Whack-a-Mole and Ring Toss. New for this season, the indoor arcade has been upgraded to a token-less card swipe system. The rechargeable player cards allow you to add points and win big and point bonuses give you the chance to play more and win more. If you’re in the mood for something sweet, check out the Sweet Shop, located next to the 3Generations Food Court. With a wide variety of treats like ice cream, fudge, and candy, your sweet tooth will be satisfied at the Sweet Shop! If you’d rather shop while the kids play, the Moose Market Gift Shoppe is just the spot for you. With souvenirs, unique keepsakes, and personalized items, you’re sure to find that special something for that special someone. The park closes for the season the last weekend in October, and will reopen at the end of March 2018. Adventureland’s celebrates their last weekend of operation in 2017 with a Buy One Get One Free deal on Pay One Price bracelets. October 28th and 29th, when you buy one POP band at full price, you get the second one free. 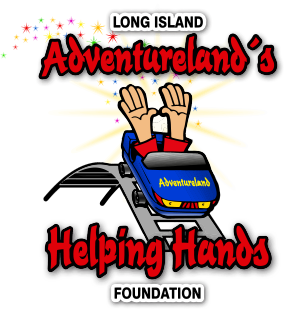 All Adventureland asks for in exchange for this BOGO deal is a donation of canned food for their Helping Hands Foundation’s food drive. Both POP bands must be used on the same day, and both riders must be present at the ticket booth at the time of purchase. For more information, visit Adventureland.us.